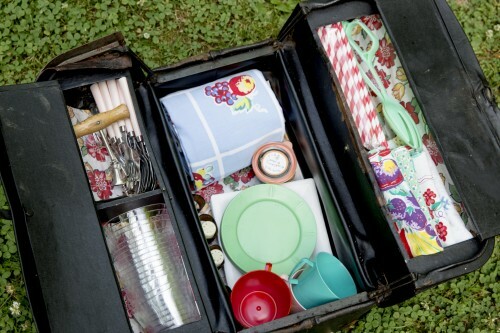 I know for certain that it’s Picnic Time because we have 5,000 reminders of that fact in our warehouse. And also because, as you can see, it’s always been Picnic Time with my family, who might whop me over the head for posting this picture. 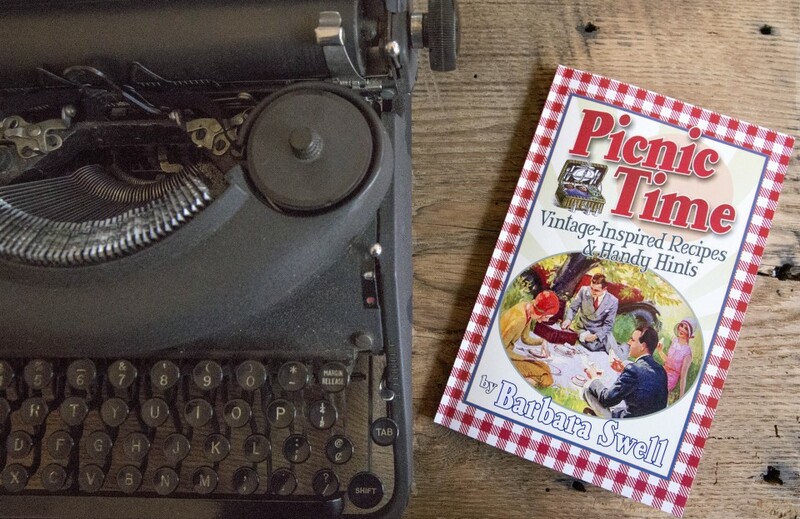 While I’ve been collecting antique outing recipes, booklets, and vintage picnic ware for many years, it took a kick in the pants by family and friends and The Monday Night Picnic Club to follow through with my vision for this book. So many thanks to all of you for helping with this project. 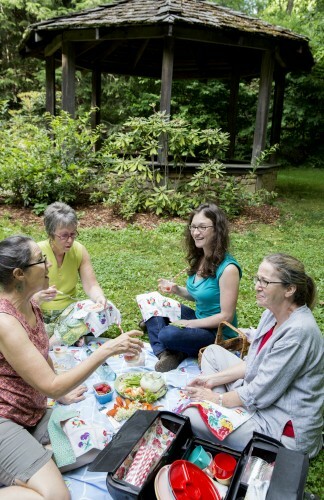 Here’s the picnic club at the UNCA botanical garden enjoying a healthy antique Doctor Bag picnic. 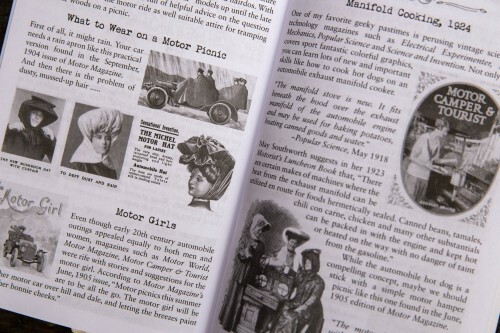 Speakin of which I’ve included lots of fun DIY projects in the book. 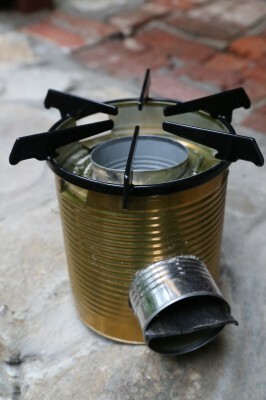 There’s the 1947 doctor bag picnic basket … And how to make a road trip picnic hamper out of an antique train case, and instructions to make an updated version of a tin can rocket stove. Of course you’ll need to know what to wear on your motor picnic … we’ve got that covered! 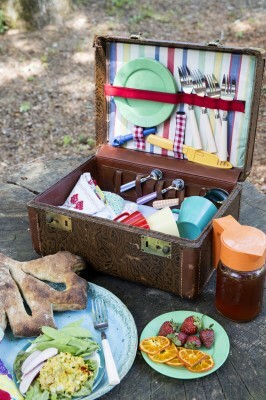 And of course, lots of fun and un-fussy picnic foods like this French travel cake (recipe below). The book is available on our Native Ground Website, Amazon, Indie bookstores, and, if you’re in Asheville, at Mountain Made in the Grove Arcade downtown, Guild Crafts on Tunnel Road and at our house until it gets distributed to bookstores, gift shops and historic sites here and throughout the country. 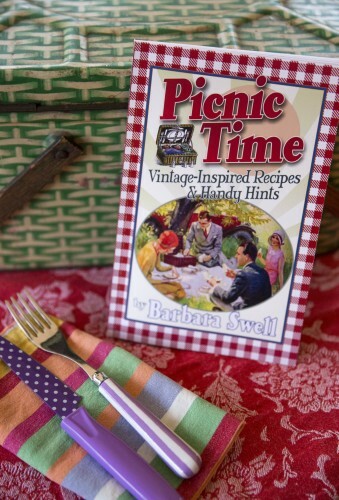 At only $6, wouldn’t this fun little book make a fetching holiday gift along with a vintage picnic treasure like this 1950s picnic tin. Whew. On to the next project! 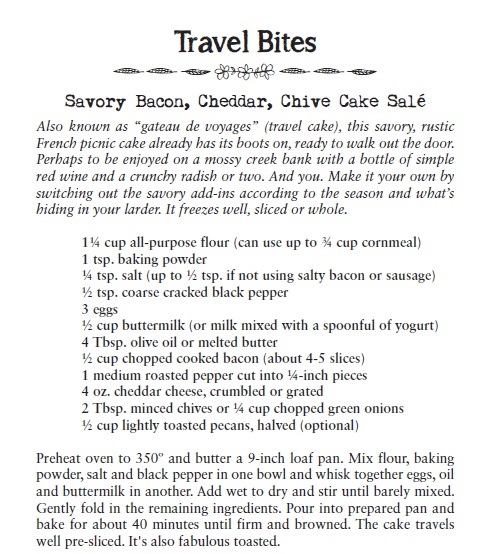 Here’s the recipe for the French travel cake pictured above from the travel bites section of the book. 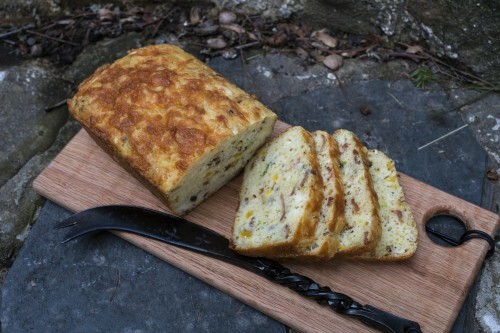 A slice of this savory cake will make a dandy road trip lunch/snack to enjoy en route to your Thanksgiving destination! ← I made you another birthday (orange cake pie) pi, Albert Einstein! 4 Responses to It’s Picnic Time!!! Great to read about! 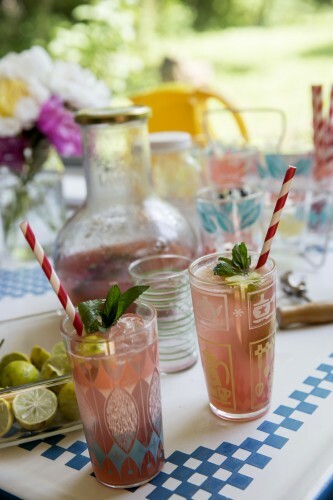 The picnic club is a fabulous idea. Hope it’s as much fun as it looks. My husband & I traveled to CA this fall for vacation. Went to the Winchester House in San Jose. They had several of your books for sale. So proud of your Salem roots. 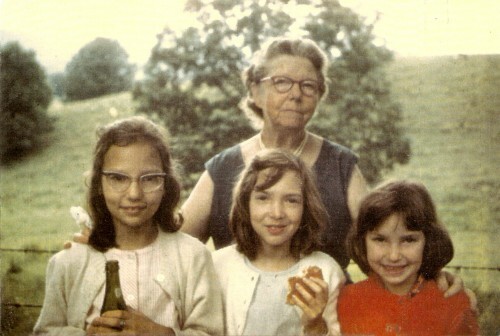 Love the picture of you & sisters with Maudie. My dad (Frank Murphy) passed away in May 2014. So my mom moved back on the hill. So sad not having a garden this year. Hello, I’m enjoying browsing through your recipes and stories this morning. Those russian pielets are beautiful. I read about your boozy holiday pie in Asheville Made magazine at the library. 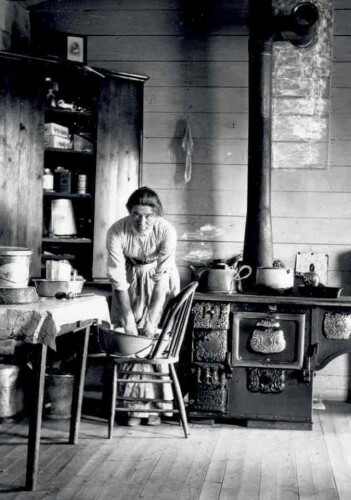 I want to attend your woodstove cooking class! I’m excited to find it will be offered later this winter. Thank you for sharing and warm wishes to you this season.